Are you familiar with vintage dime register banks? 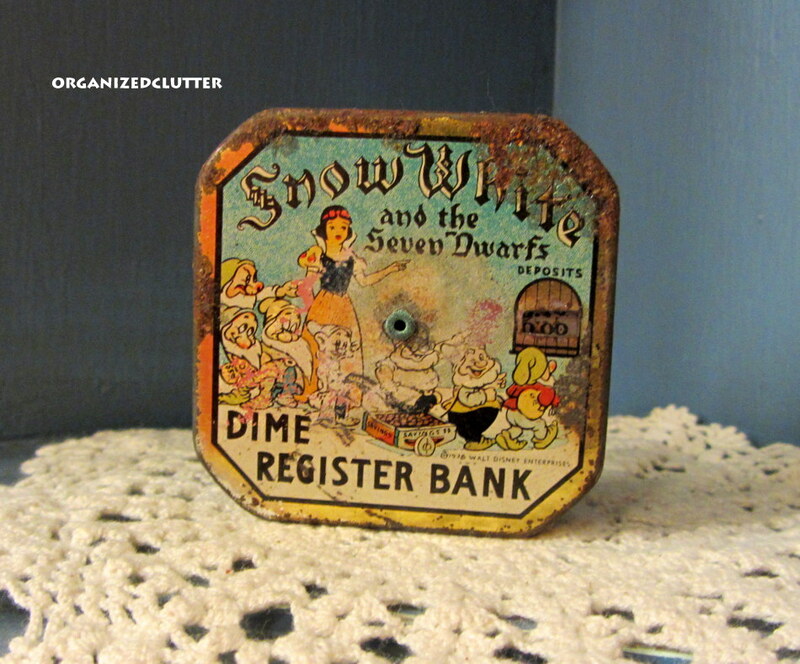 This Snow White and the Seven Dwarfs dime register bank has a copyright date of 1938. This bank was my Grandma's and unfortunately was exposed to moisture in storage. The bank has rust. The all metal bank locks at the first dime, registers how many dimes are inside and unlocks at $5. This dime register J. Chein cash register dime bank is in excellent condition. 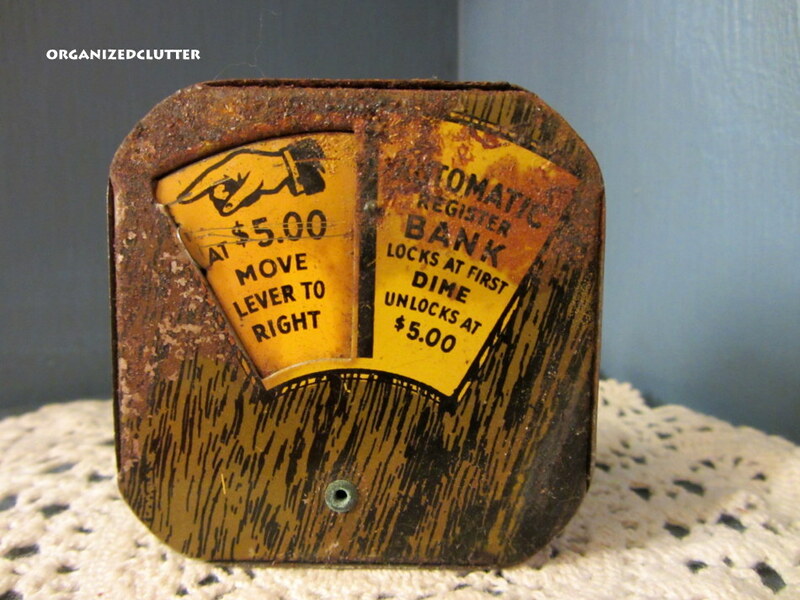 This one locks on the first dime and unlocks at $10. I don't think this one is as old as the Snow White bank, but I am pretty sure it is made before the 1960's. I don't actively seek more dime register banks. I know they are available on etsy and ebay. I think they are a fun vintage collectible. in a post titled "Fun with Funky Junk"! Hi Carlene, the white one with the red and blue sure looks familiar to me! I LOVE the Snow White bank!! How lucky you are to have so many family pieces in your collections! 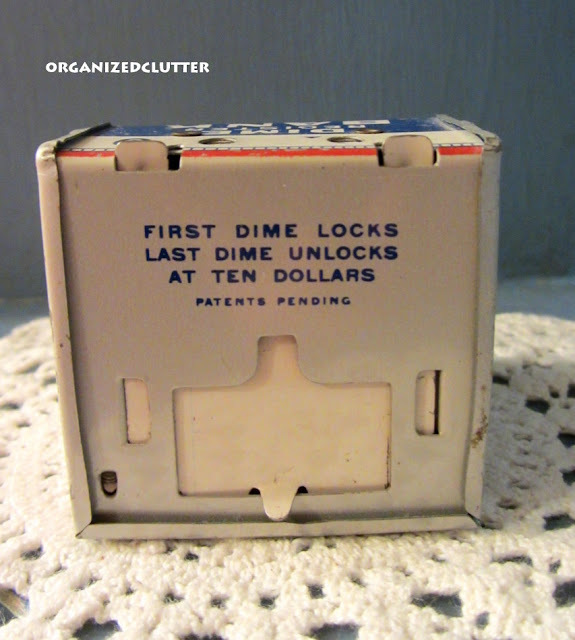 Being MUCH younger than Vickie, (he he) I've never seen these dime banks, but they are so cute!! 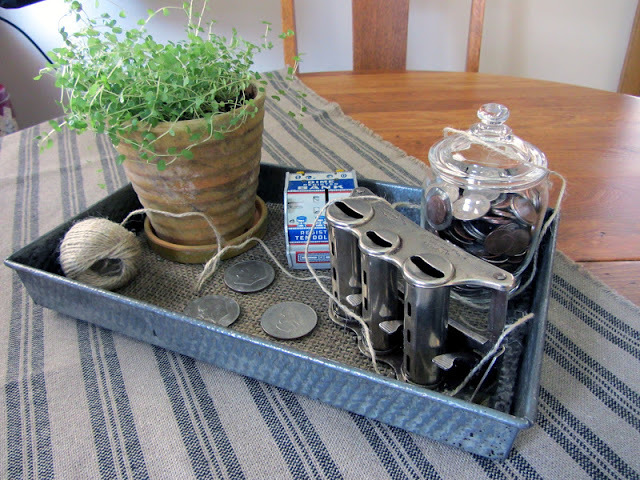 How sweet that you have your grandmother's bank. I want one! These are so cool! 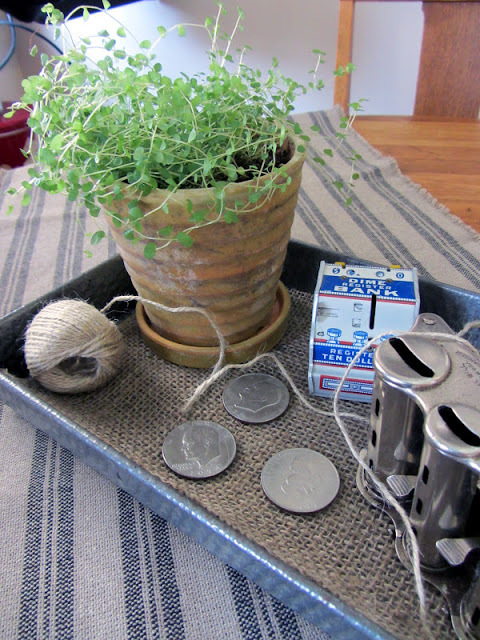 What I've really been looking for though is that metal money changer. I keep hoping I'll come across one at a garage sale. So far no luck. Such cool stuff, Carlene! Never heard of them before....what neat items. I am sure someone in my family has heard of them, but never shared that tidbit with me!! Those are very cool! Don't think I've ever seen them before! I'm your new funny faced follower! I popped in from another blog and wondered, 'where have you been all my life!?' Had so much fun looking at your beautiful vintage wall art! I've never seen those before, but the are wonderful and how special you have one that is an heirloom! I'll be featuring you this week at Knick of Time Tuesday! 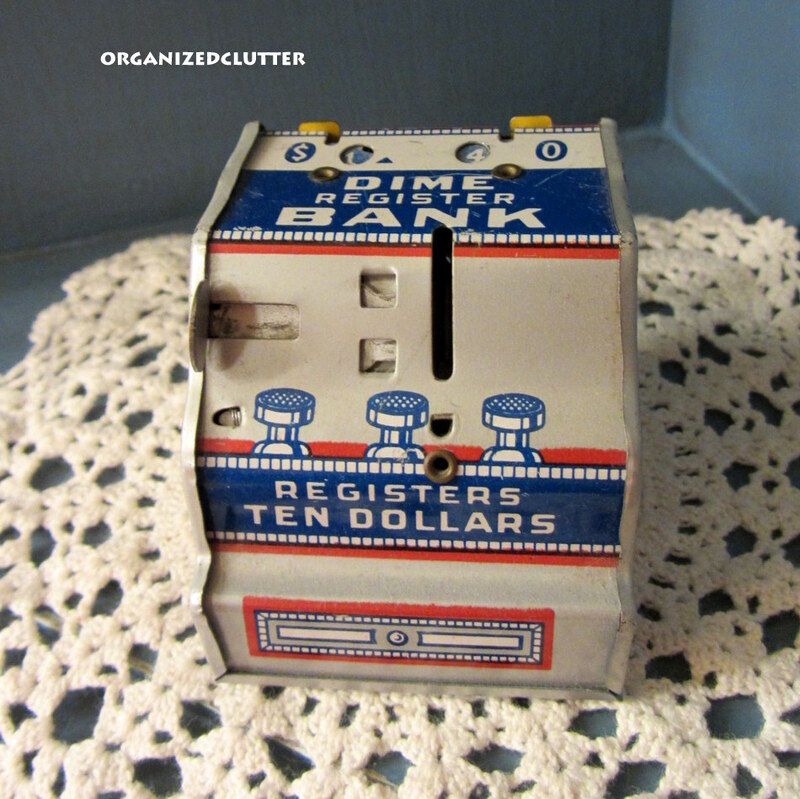 I've never seen these dime banks before, but now I'll have to be on the lookout for them when I'm out thrifting!